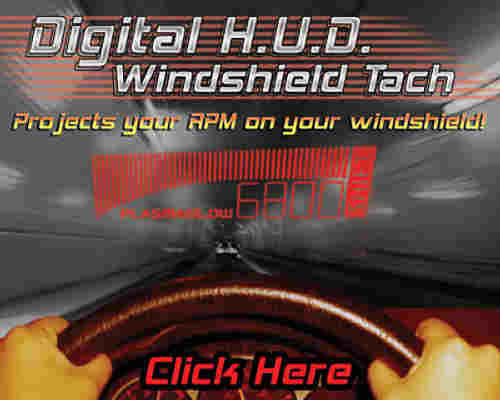 PROJECT Your RPM onto the Windscreen with the ALL-NEW Digital Auto Tachometer. 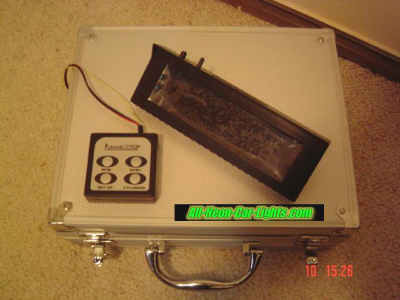 Bulky auto tachometer gauges can block your view of the road when you need it most. With the Digital heads-Up Display, you can look through projected shifting lights, which ultimately gives you an edge in competition racing. The race inspired Plasmaglow Digital Heads-Up Display tachometer will project your RPM's onto your windscreen in both digital numbers and in analog. 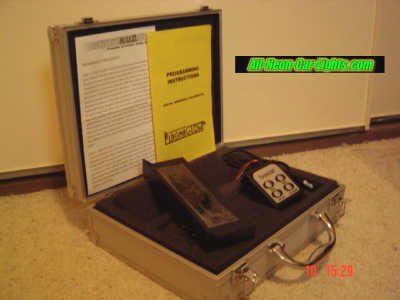 A bar for at-a-glance readings, and a shift indicator that can be set manually for gas economy or maximum horse-power! 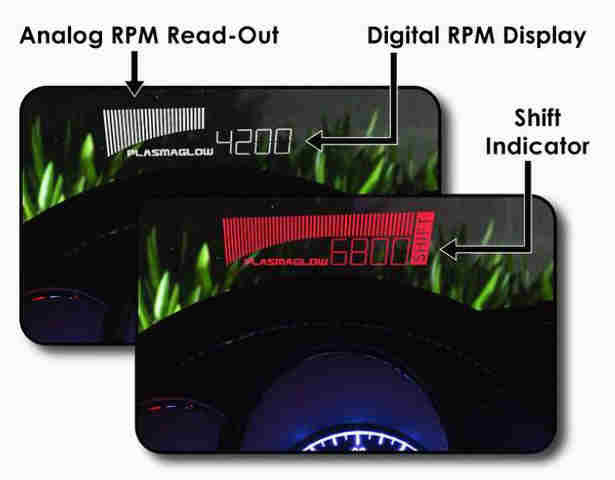 Digital Heads up Display Tach - Works with any 4, 6, or 8 Cylinder Vehicle!When you reach your redline, the display changes red, and a shift box pops up on your windshield! With no bulky gauges between you and the finish line, you'll rule the streets with the all new Plasmaglow Digital Heads-Up Display automotive tachometer. $289.00USD On Special! Hurry! - Stocks will NOT LAST!